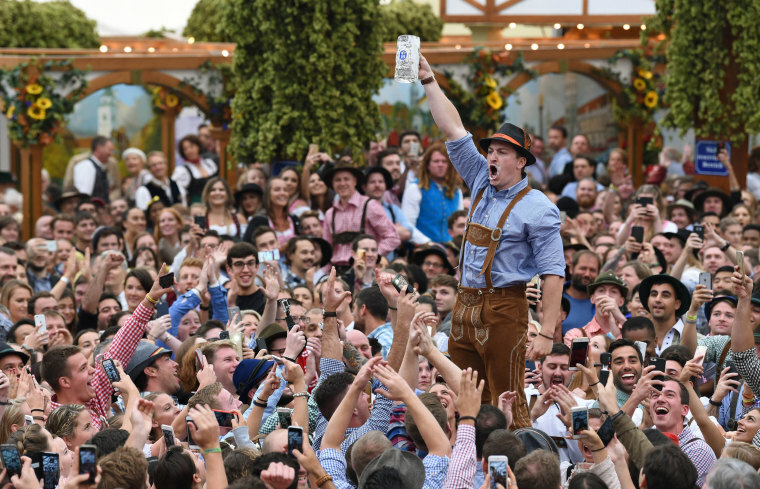 About 6 million visitors are expected to come to Munich for the 184th Oktoberfest, which runs through Oct. 3. 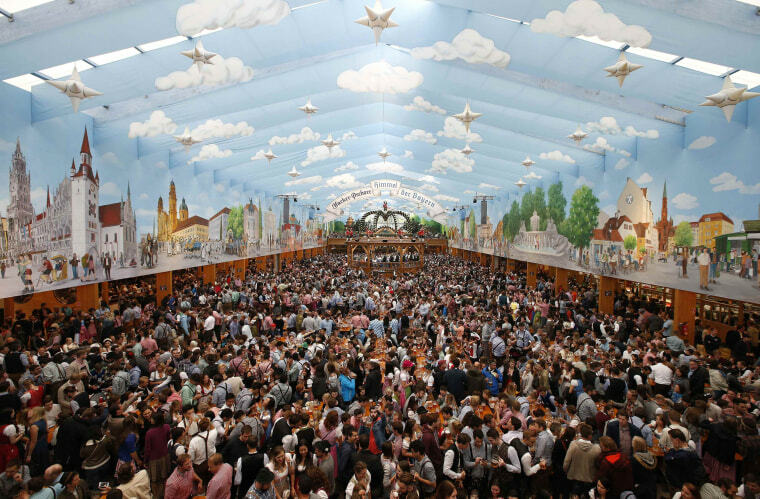 Visitors gather in a tent during the opening day of the 184th Oktoberfest in Munich on Sept. 16, 2017. 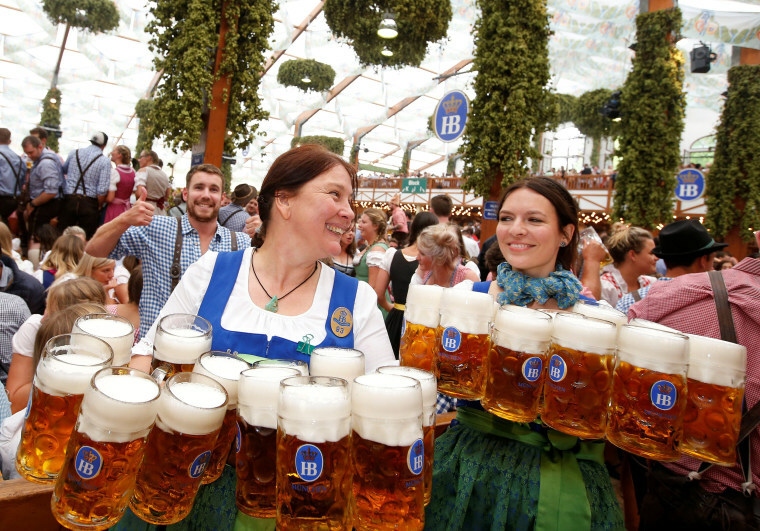 The world's largest beer festival will be held until October 3. 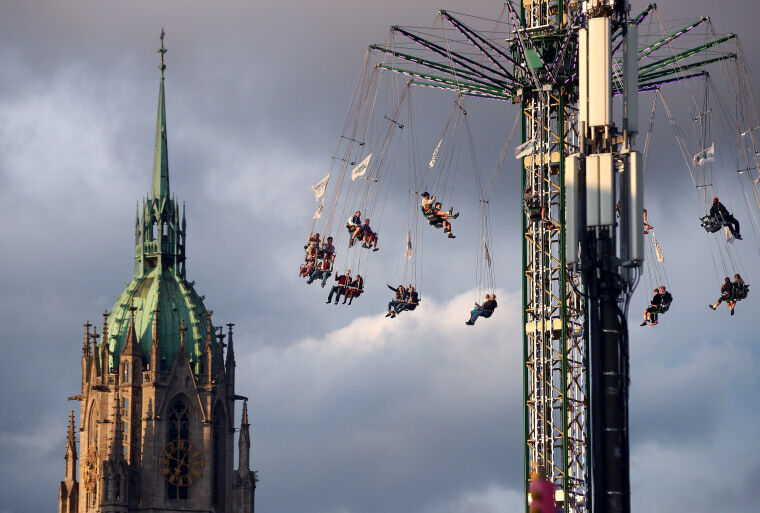 Visitors ride a swing carousel in front of St. Paul's church on opening day. The festival was first held in 1810 to celebrate the marriage of Crown Prince Ludwig of Bavaria to Theresa of Saxony. 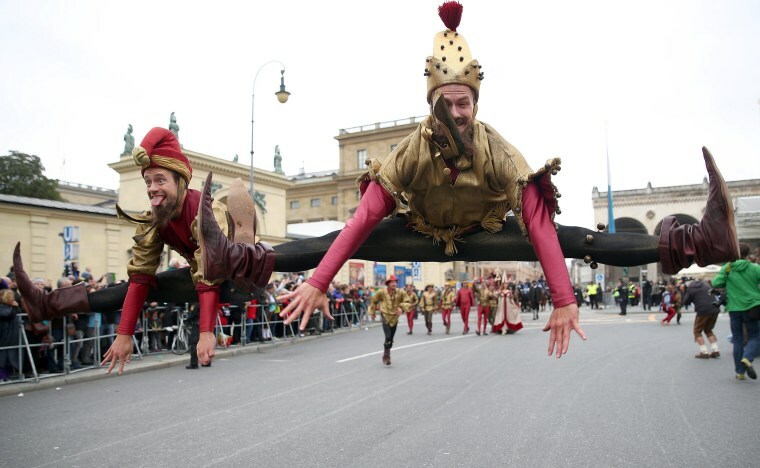 The festivities were repeated annually in October, but were later brought forward to start in September when the temperatures in Bavaria are usually warmer. 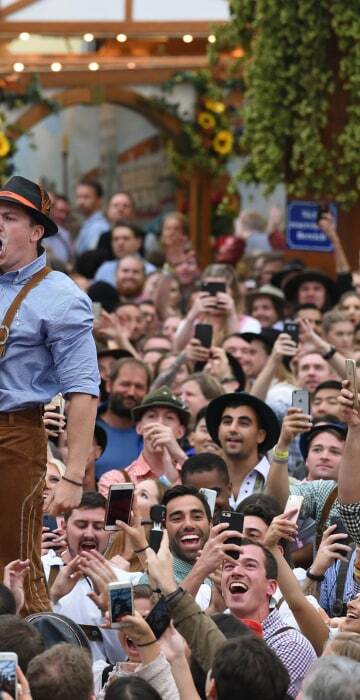 People cheer as a man lifts his empty mug after finishing his beer on Sept. 16. 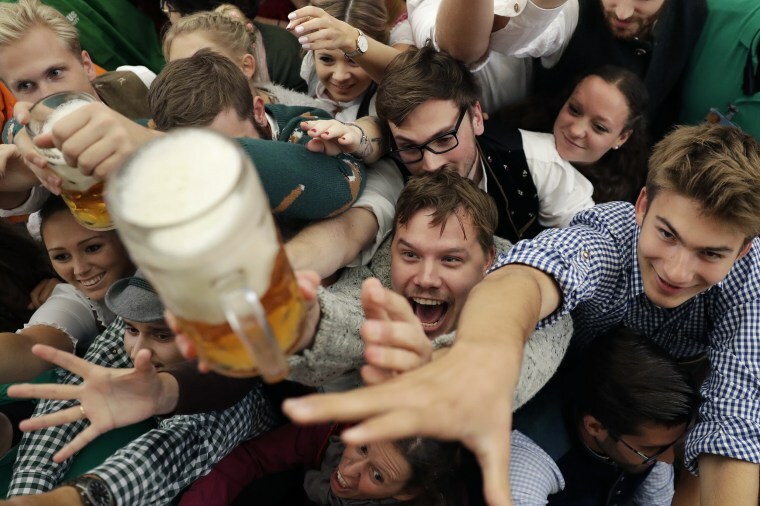 The prices for a big mug of beer have gone up again and visitors have to pay 10.95 euros (about $13) per glass — 25 cents more than last year. 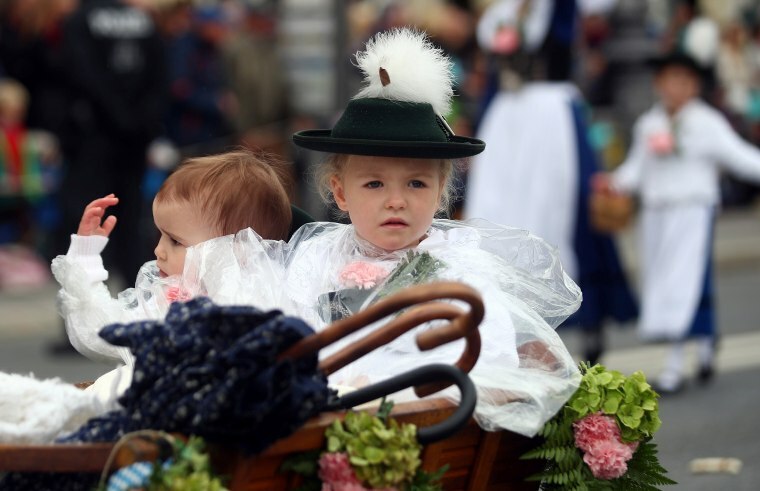 Children dressed in traditional Bavarian clothes take part in the Oktoberfest parade on Sept. 17. 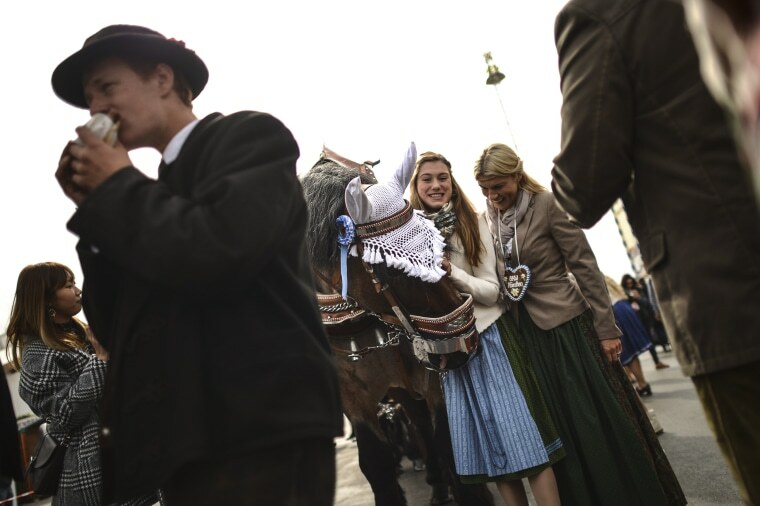 A performer in a traditional Bavarian costume sits on a horse during the traditional Costume and Riflemen's Procession on the second day of Oktoberfest on Sept. 17. 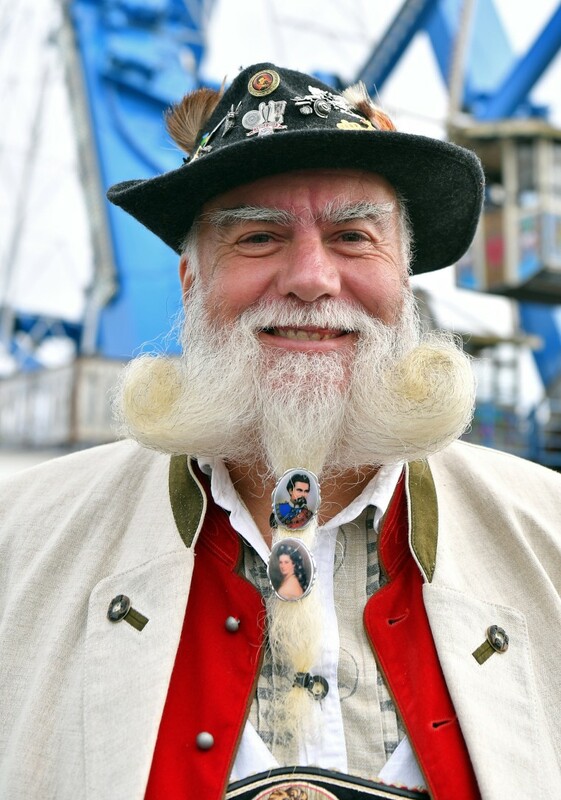 A man dressed in traditional Bavarian clothes smiles on the first day of the beer fest. Performers jump in the air on Sept. 17. 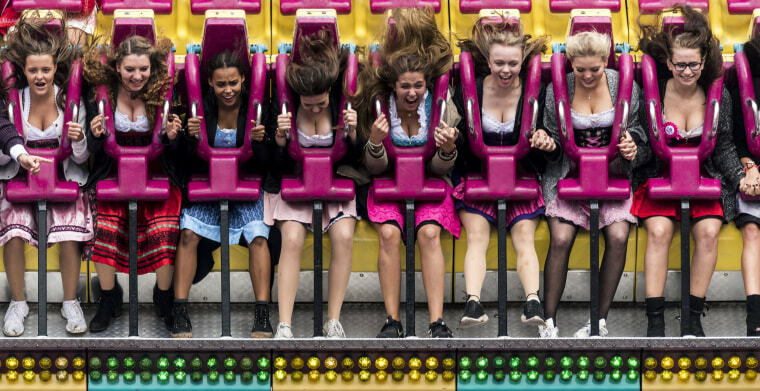 Visitors scream during a ride at the fairground on Sept. 16. 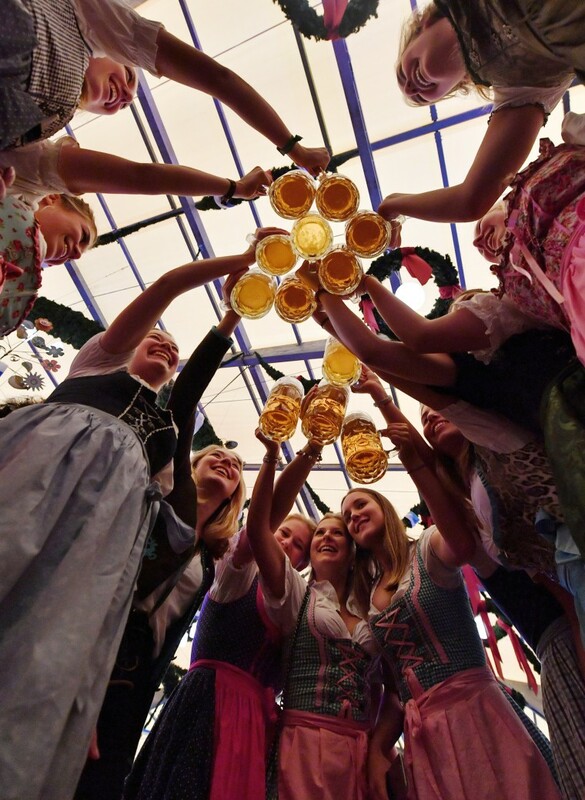 A group of women celebrate the opening of the beer festival in the Schottenhamel beer tent with the first served 'Mass', (1 liter beer). 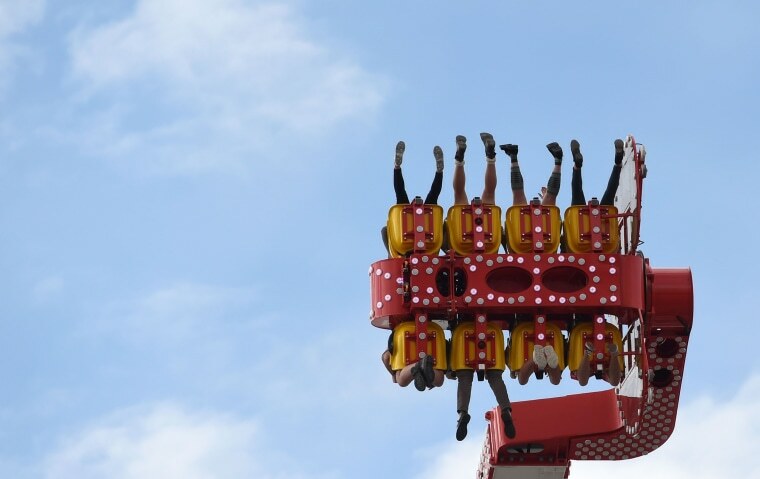 People sit in a ride at the beer fest fairground. Waitresses carry mugs of beer on opening day. 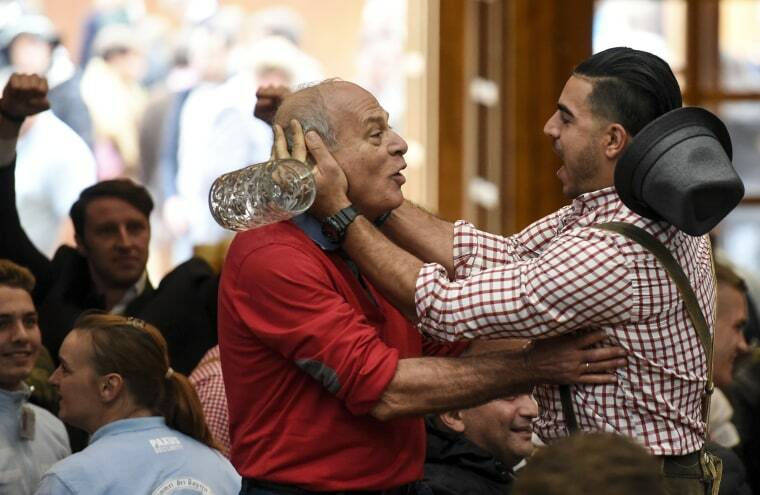 Revelers hug in the Hacker Pschorr tent on the first day of Oktoberfest. 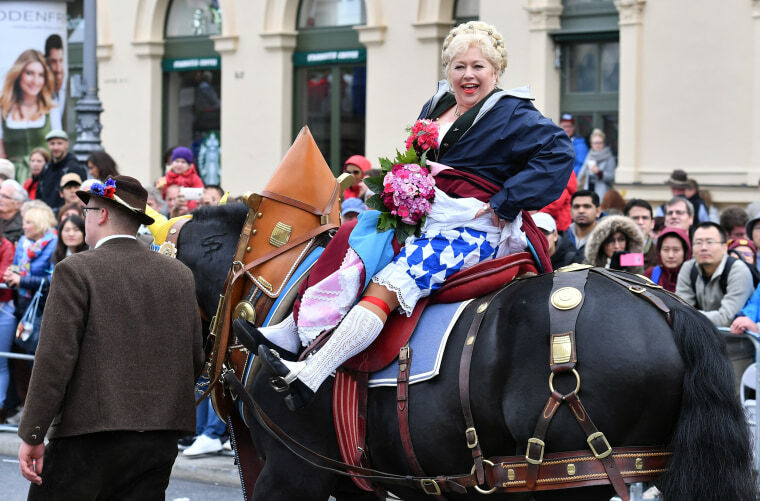 Two revelers laugh as they have their picture taken with a brewery horse on Sept. 17. 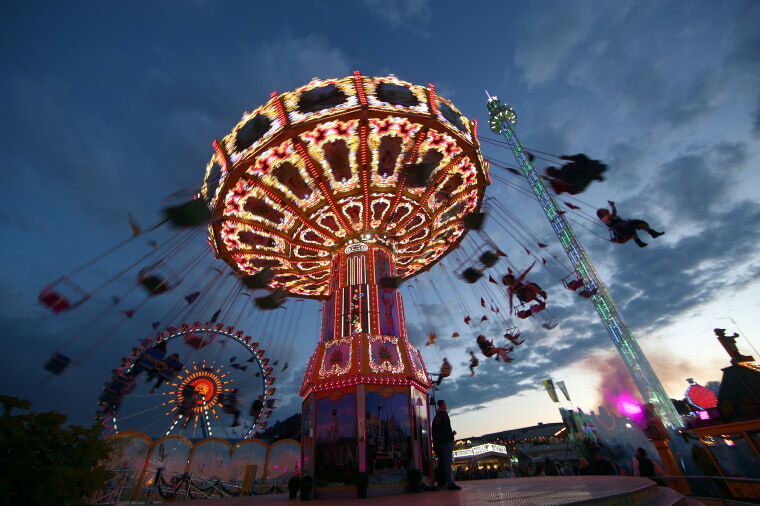 Visitors ride an illuminated swing carousel on opening day at dusk. 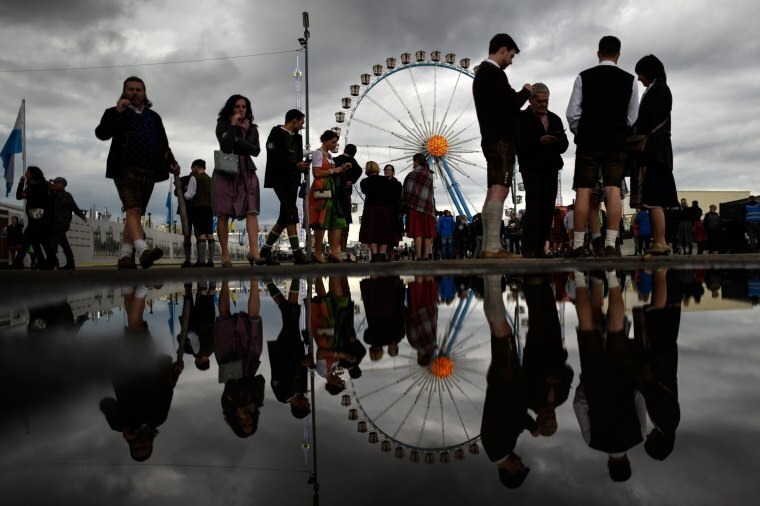 Revelers are reflected in a puddle on the first day of the 2017 Oktoberfest beer fest on Sept. 16, 2017 in Munich, Germany. 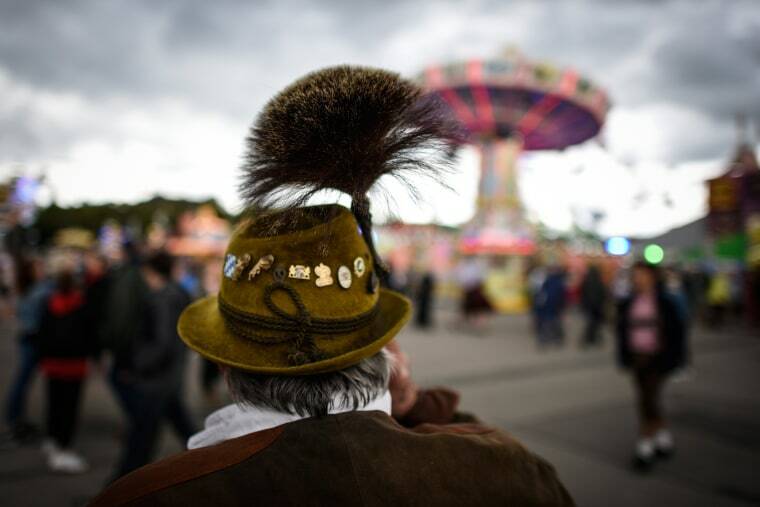 A reveler in traditional Bavarian clothes stands in front of a carousel on Sept. 16. 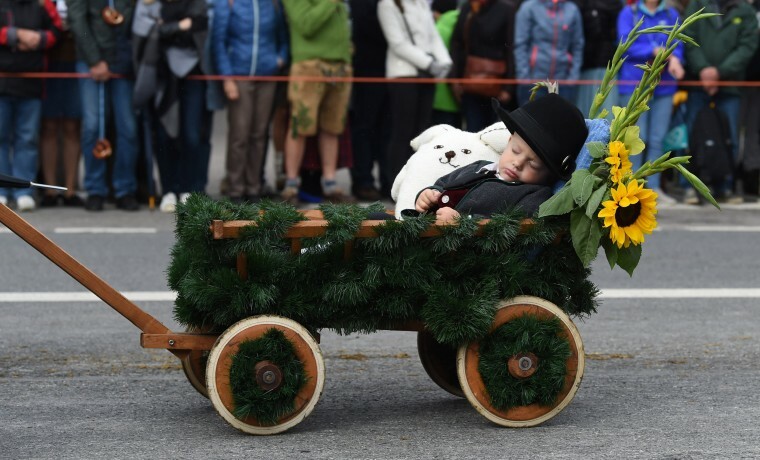 A little boy named Ben sleeps in his trolley during the traditional Costume and Riflemen Parade on Sept. 17.